Published on 27 August 2012. 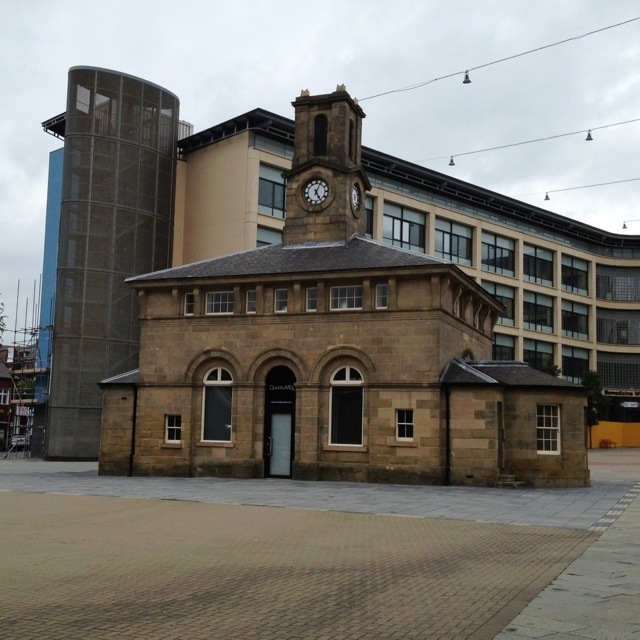 This is another of John Dobson’s many contributions to Newcastle: the 1840 Market Keeper’s House. It’s notable for standing in the middle of the very modern International Centre for Life. Originally, the downstairs housed the offices of toll collector and market keeper for the surrounding cattle market, which featured 10,000 or so animals each week. The upstairs held accommodation for their families. Despite its historic appearance, these days it could barely house a more modern company: QuantuMDx, the current occupants, research and manufacture handheld genomic sequencers, along with similar cutting-edge near-patient diagnostic medical stuff. But I don’t think the employees’ families get to live upstairs any more…! This 1,782nd post was filed under: Photo-a-day 2012, Newcastle-upon-Tyne.